Yea, I know. Is it the word “free” that is making you a little nervous and skeptical? I get it. I have no problem confessing that my “are you full of bologna?” antenna goes up whenever someone starts talking to me about getting something for “free”. But don’t worry. It really is free. 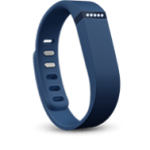 As a matter of fact, I am really very excited to be able to give away a free fitbit to one lucky person who will be randomly selected from those who sign up to receive our monthly newsletter. But more importantly, I am excited to be able to give away to every person who registers for our email contact list, my free report “Seven things you can do to stop depression in its tracks”. Why? Because in this report I outline in plain language seven lifestyle changes that you can make on your own, without the help of a shrink or drugs, that is all natural, and something you can do it all by yourself, that will help you beat depression, or insulate yourself from ever becoming depressed. In fact, if you decide to make these changes you will increase your chances 100%, or more, of beating depression over any antidepressant or psychotherapeutic approach that is on the market today. Let me ask you this question: What do you think is the most effective treatment for depression? Most of the time when I asked people this question the answer I get is this; “That’s easy Doc, antidepressant medication!” Pharmaceutical companies have done an amazingly effective job of persuading us that there is a magic bullet cure for depression in the convenient and easily accessible form of a tiny pill. And we, patients and clinicians alike, have swallowed this belief hook, line, and sinker. Why? I don’t know for sure. But I think it is fair to speculate that the marketing gurus for Staples, the popular office supply store, knows the answer to that question. Their marketing research team has a pretty clear understanding of human behavior. When it comes to solving a problem, rather than choosing a solution, no matter how compelling, that requires a significant amount of effort, most of us would prefer to just simply hit… “the easy button”. When it comes to the treatment of depression, Big Pharma has made it incredibly convenient by sliding that “easy button” right in front of all of us in the form of a tiny pill called an antidepressant. Yet, one thing you will never hear Big Pharma talking about is the actual long-term success rate that these medications have for treating depression. Would you believe me if I told you that studies looking at the long term effectiveness of antidepressant medication in treating depression demonstrate that only about 30% of patients on antidepressants fully recover! Recently the National Institute of Mental Health sponsored one of the largest studies to date on the effectiveness of antidepressants. After tracking over 3,000 patients at 41 sites across the country, only about 28% of patients experienced any significant kind of recovery after 12 weeks of treatment. Wow!! Ever see that highlighted on a commercial about antidepressants? Can you imagine your doctor writing you a prescription for an antidepressant and saying, “Take this pill every day, and three months from now, you will have about a 28% chance of feeling better.” And, by the way, in case you don’t know, this is just a little better than taking a sugar pill (placebo effect). Multiple studies have demonstrated that antidepressants are barely more effect than taking a placebo. Lucky for Big Pharma, for approval by the FDA this “just barely more effective” is just enough to get the pills on the market. Now in case you are getting the impression that I am anti-medication, let me state clearly that I am not. In fact, I can honestly give testimony to the fact that I have treated more than a few patients over the years who have benefited greatly from medication. As a matter of fact, psychotherapy alone for some of my patients, has on occasion, proven to be completely ineffective. Which brings me to the next question: So what does the research say about the effectiveness of psychotherapy for depression? Interestingly enough, psychotherapy, particularly the “golden child” of talk therapy, Cognitive Behavioral Therapy (CBT), sadly to say, isn’t that much better. A review of the research shows that psychotherapy is every bit as effective as medication in the short run, but in the long run only about 30% to 40% of patients experience lasting positive benefits. Not the kind of stats that rings the confidence bell or gives you a sense of security and well-being, is it? Well what if I told you that if you would make the seven lifestyle changes that I am going to recommend, your odds of beating depression would double over medication and psychotherapy? Well that is exactly what I’m going to tell you!! Dr. Stephen Ilardi from the University of Kansas has helped hundreds of patients over the past several years make these seven lifestyle changes, and has experienced remarkable success. It is my firm conviction that the majority of people on antidepressants today could be medication-free and depression-free if given a chance to implement these seven lifestyle changes. If you are one of these people, who are tired of feeling depressed and helpless, tired of being on medication, or tired of all of the side effects that go along with those medications, then you’re going to want to read this report. Because I’m going to share with you seven very doable lifestyle changes that are guaranteed to improve your physical and mental health, and will increase your odds exponentially of being depression-free and antidepressant-free! 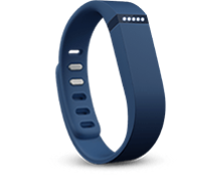 So before you procrastinate a second longer, go down to the bottom of the webpage and sign up today to get my free report and also a chance to win a free fitbit! I promise, you will be glad you did!